Darcia Mae (Olson) Christensen was born to Loyd Oscar Olson and Nora Marinda (Ranum) Olson on the family farm outside of Goldfield, Iowa on August 6, 1925. She was born and raised in the house that her grandfather built and where her father was born. Darcia attended Norway Township country school through the eighth grade, and graduated from Eagle Grove High School in 1942. She then attended Des Moines American Institute of Business (AIB). Like many others during WWII, Darcia and some other local girls moved to Los Angeles to work in an aircraft assembly plant. In 1949, Darcia married Vernon E. Christensen at the Methodist Church in Goldfield. They had one son, Jim. They farmed north of Eagle Grove until they retired in 1987. The two of them enjoyed traveling across the US including the Black Hills, Alaska, Utah, Minnesota and 25 winters on South Padre Island. Along the way of many of their trips, they would visit Jim in Kansas City to see the Plaza lights and eat barbecue. They also had fun going abroad to Europe, including Norway for a couple of her family reunions called ‘Cousin Connection’. Darcia loved the annual Cousin Connection get together where her family gathered together in Iowa with Norwegian cousins joining some years. 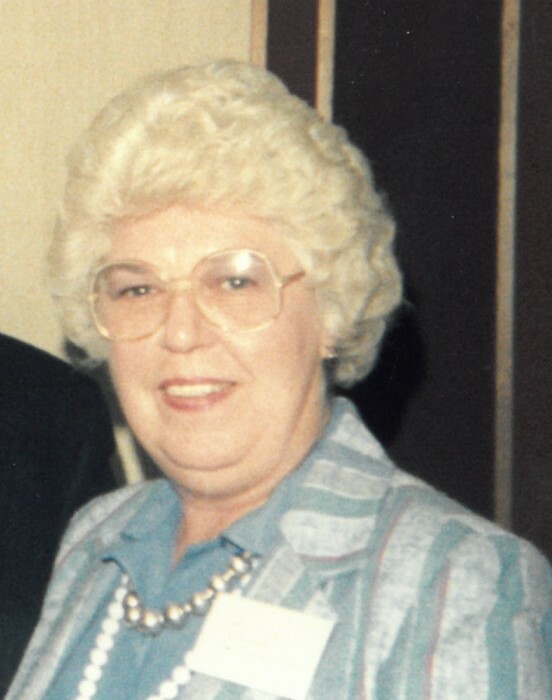 Darcia worked for Boone Valley Cooperative, yet spent most of her career as the secretary for the Board of Education in Eagle Grove for over 25 years. She was an active member of the Association of School Business Officials, serving in various officer positions. Her involvement also gave her an opportunity to travel to many places in the US. Darcia was a member of the United Methodist Church in Eagle. She loved to play bridge, playing several times in a week and she was a true sports fan – cheering on the Iowa Hawkeyes (and her sons Cyclones if they were not playing the Hawks), Green Bay Packers and the Kansas City Royals. Darcia passed away on Friday, February 8, 2019, at the Paula Baber Hospice Home in Fort Dodge at the age of 93 years. She was preceded in death by her parents; husband, Vernon “Chris” in 2007; sister, Betty Lou Young and sister-in-law, Margaret Bennett (Howard). Survivors include her son, Jim Christensen and wife Dawn of Kansas City, MO and many nieces and nephews. Visitation will be Monday, from 4:00 to 6:00 p.m. at Foust Funeral Home in Eagle Grove. A Graveside service will be held at 10:00 a.m. at Glenwood Cemetery in Goldfield. Refreshments will follow in the South Building Lobby – Rotary Senior Living. Memorials may be left to Eagle Grove Dollars for Scholars.